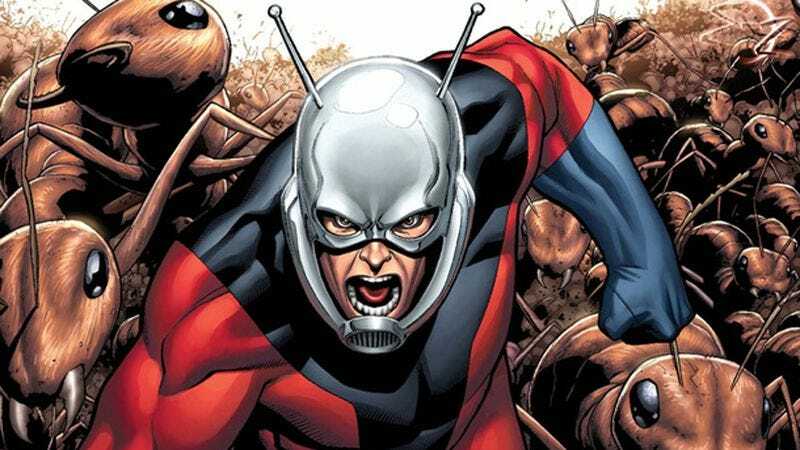 Much like what one would do to a pesky insect (like a fly or a spider), Anchorman director Adam McKay has squashed any possibility that he would be the one to take over Marvel’s Ant-Man movie after Edgar Wright walked away from it last week. According to The Hollywood Reporter, McKay met with Marvel on Friday to discuss the project, but he “abruptly decided against taking the job.” THR says the decision to do so was “his alone,” suggesting that Marvel was fully prepared to give him Ant-Man if he had wanted it. The deal was apparently so close to being made that cool sites like Bleeding Cool and Ain’t It Cool News were ready to call it official, with AICN highlighting McKay’s previous experience working with Ant-Man star Paul Rudd (known for his prickly attitude) as a plus. But, alas, McKay won’t be directing the film. He later confirmed the news by tweeting that he did meet with Marvel, and while he considers legendary creators Stan Lee and Jack Kirby to be his John Lennon and Paul McCartney, he’s committed to too many other projects to take on Ant-Man. The other front-runners for the job—We’re The Millers’ Rawson Marshall Thurber and Zombieland’s Ruben Fleischer—are apparently still in the running, but considering Marvel has lost its first choice and now its second choice, there’s no guarantee it’ll go to either of them. We just hope Marvel drags this out as long as it can, since we need a new rumor-driven story to keep talking about now that the Star Wars cast has been announced and the Man Of Steel sequel has a title.